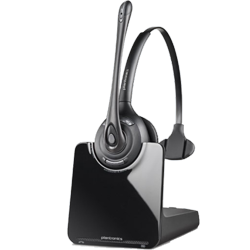 Wireless Headsets Guide - Headsets Direct, Inc. There are several important factors to consider if you’re looking at purchasing a wireless headset and what to focus on when looking at a wireless headsets guide. The three basic areas that are most important are; headset wearing styles, remote answer capability, and connectivity. The focus of this article is not on any particular manufacturer or model of headset, because the models change, and there are many different manufacturers, and they all have similar models that meet all the criteria; the focus is from the conceptual point of view of what to look for in a wireless headset. First is wearing style, which is the personal preference of how you want the headset to fit on your head. The first of wireless headset styles is an over-the-ear model. Over-the-ear model headsets are quick and easy to put on, are less noticeable with face-to-face conversations, and will be lighter in weight than over-the-head models. The over-the-ear headsets have ear loops that hold the headset in place. Some ear loops are bendable and flexible, so you can get a good secure fit. The headsets have either ear buds or ear tips that fit in your ear. Some models have the circuitry behind the ear, and other models have the circuitry on the outside of the headset. The over-the-ear models work particularly well if you don’t want to mess up your hair, or if you want a low-profile design. For example; if you talk with customers face-to-face, you may not want a big headband that might be distracting, so in this case, an over-the-ear headset works very well; people won’t even know you are wearing it. Generally the over-the-ear models are a little lighter weight than other options, so that’s another advantage of an over-the-ear model. The negative side to the over-the-ear models is you sacrifice a little bit of battery life, because they have to have a smaller battery. The batteries on some headsets are replaceable, and some are not, so be sure to look into that before you purchase the style headset, as the cost of a new battery is much, much less than the cost of a replacement headset. Another wireless headset style is the over-the-head with a speaker on one ear. These models typically have an adjustable headband and a temple pad, which helps hold the headset securely on your head. The headband models are very different than the over-the-ear headsets, because once you get the headset in place and positioned just right, it won’t go anywhere, you can’t shake it loose. So you get a really good, comfortable fit. 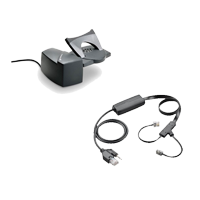 Another advantage of over-the-head wireless headset styles is the ability for larger batteries, so you generally get longer talk time, and better battery life. You also have a much bigger speaker, so you will also get better sound quality, with better separation from noise around you, because the speaker acts as a barrier to outside noise. You gain a little bit in weight, but because your entire head is supporting the headset, not just your ear, you probably won’t notice it. The single-ear version keeps your other ear open, so you can easily talk to co-workers and hear what is going on around you. The last wearing option is the dual-ear headband headset. This wireless headphone has a headband with speakers that cover both ears. A huge benefit of purchasing a dual-ear headset is you really stay focused on your caller better. Because you have both ears covered, you’re not distracted by things going on around you, and you get more balanced sound, because you have sound coming in both ears. If you take an office and convert everyone from single-ear headsets to dual-ear wireless headphones, a very interesting thing happens — you will drastically drop the overall volume level of noise in the office, because no one is having to talk over everyone else. That is a big factor to think about. If you want a quieter office, you may want to consider dual-ear headphones for your staff. What Can Your Wireless Headset Connect To? The last thing to cover is connectivity. The basic wireless headset system is the least expensive way to go. The base unit plugs into a traditional desk phone, so your headset can only be used on that desk phone. 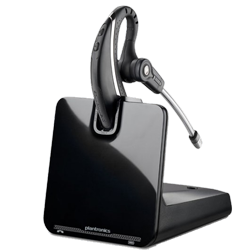 A little bit more expensive headset will allow you to use the headset on a desk phone, PC, and your mobile phone as well. So that headset allows you to use one headset to communicate pretty much any way you can in your office. If you’re using a headset on your desk phone, and that’s the bulk of your day, you’re up and going. Now you have a webinar you need to attend, or maybe you have a training video, then all you do is press the button for the PC, and the same headset becomes your audio source for your PC. Your coworkers will appreciate this also because, if you are on a webinar, you won’t be interrupting your whole office with the speakers blasting away. The same headset also works as your mobile phone headset. So while you’re in the office and you need to take a mobile call, you can still use the same headset to take your mobile calls. That type of headset ends up being a great convenience; you don’t have three headsets laying around, having to switch headsets for each different application. It’s one headset, and you have the freedom to roam around using whatever application you need to use. Hopefully this takes away some of the mystery of wireless headsets and what to look for when purchasing a wireless headset system. We’re always here to help at Headsets Direct. You can call us at 1-800-914-7996, or visit us online at www.headsetsdirect.com. We’ve been doing this since 1996, and we are certified by the manufacturer to be headsets experts. 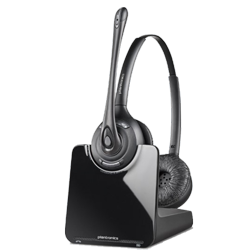 So give us a call, we are always glad to help, or use our wireless headsets guide online.